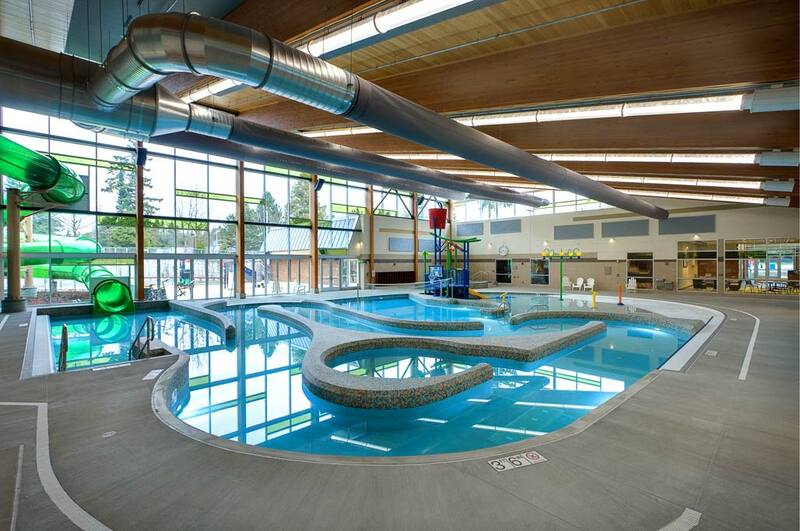 We are pleased to have partnered with NAC Architects and the City of Lynnwood on this spectacular project. 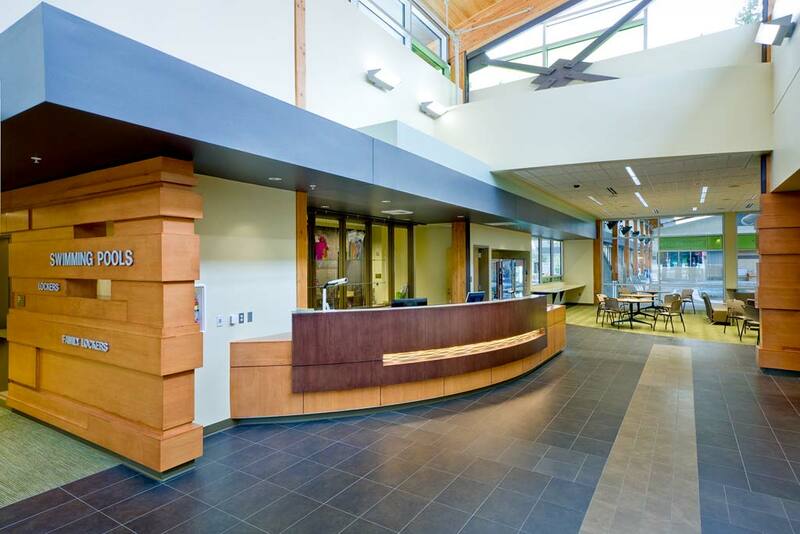 Our Scope of Work included the system designs for all the spaces in the facility and the installation of all the parts and pieces needed to make everything work together. 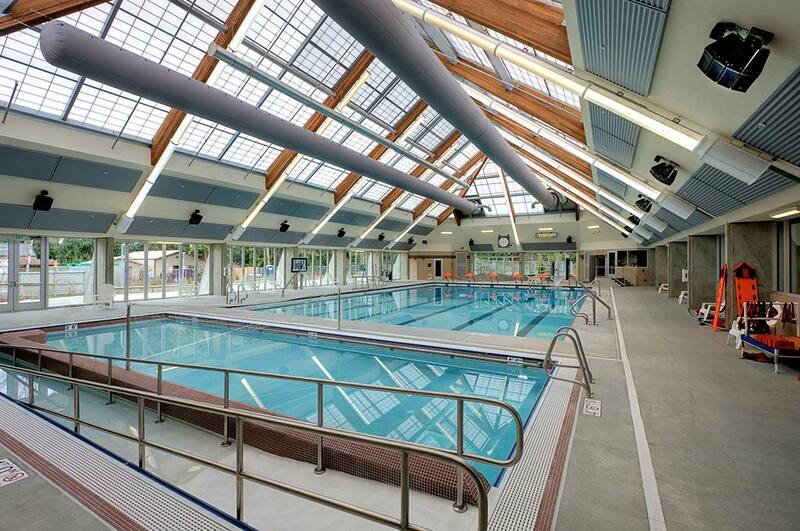 The pool spaces consist of two separate areas, North and South, the North being a high sloped ceiling with glass on three sides and the South arranged as a more traditional pool/competition space. Both spaces were outfitted with the TOA HY-5BWP weatherproof speaker arrays. 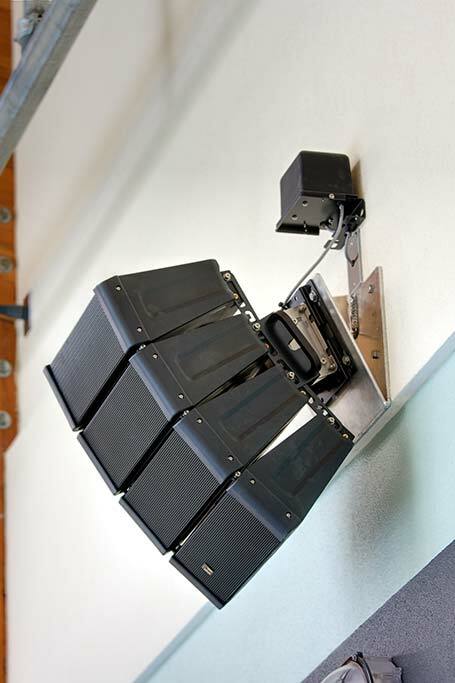 These four-segment line array assemblies were coupled where needed to make a long throw array, and installed individually for short-throw applications. A total of 32 array segments were installed. The Crown power and BSS processing are fed with Lectrosoncis wireless systems, including waterproof belt-pack and microphone assemblies so instructors can wear wireless while in the water. 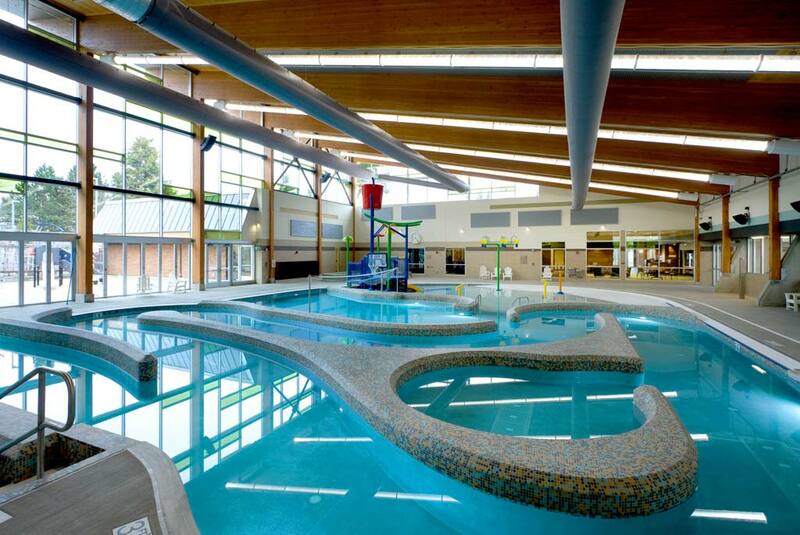 There are four wireless units that can be controlled and routed to the pool areas, along with the CD and iPod playback devices, from a BLU10 custom configured control panel in the Aquatics Office. Moving to the Cardio-Weight Room you’ll find JBL AC26 speaker assemblies down-firing from the glue lams, and the ASB6112 subwoofers in special ‘bunker’ cavities in the ceiling. 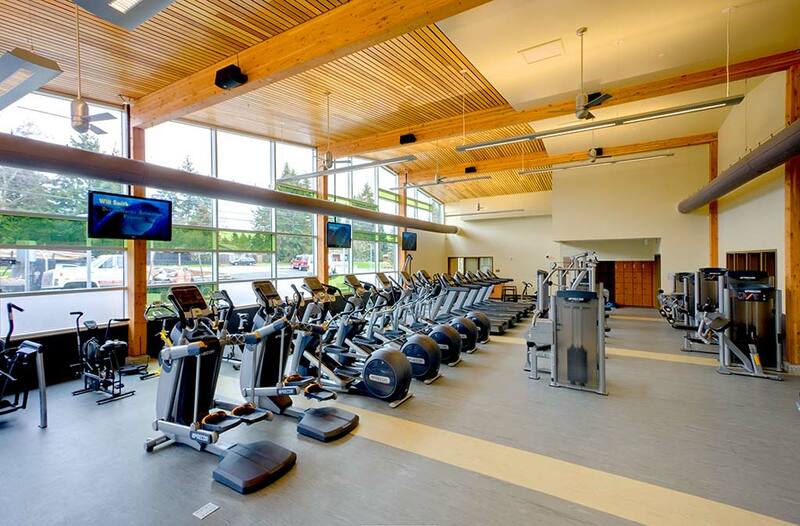 There are four 55” LCD displays facing the rows of cardio machines. 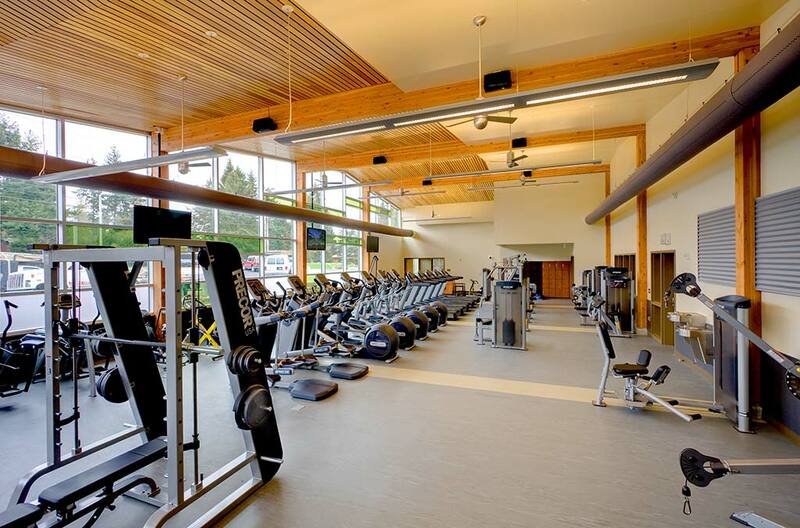 These displays connect via wireless transmitters to the exercise machine receivers. The displays and all audio sources are controlled via an AMX touch panel at the Customer Service desk. A local DVD player is modulated onto the HD cable system and distributed as an available channel for selection. 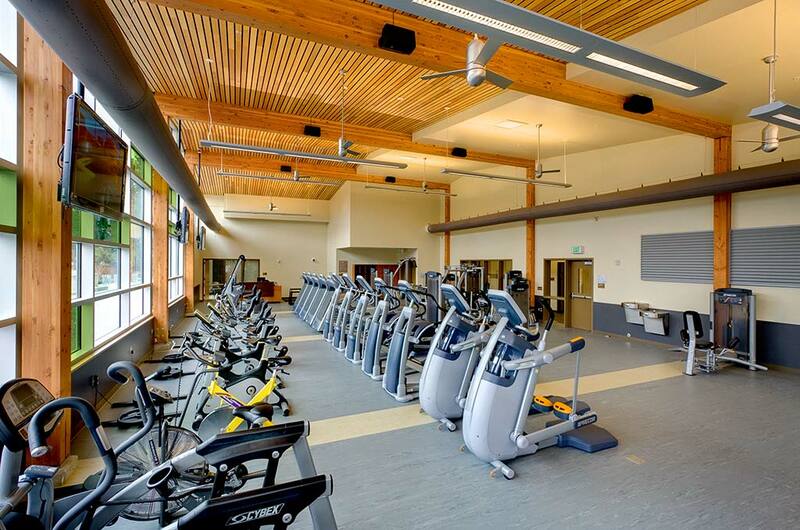 The Group Exercise room has JBL Control 47 ceiling speakers and Control 40 subwoofers installed to cover the main exercise floor. This room also has an autonomous control panel to allow selection of the local and global sources, as well as a wireless mic system. There are two Multi-Purpose Rooms in the building that function as meeting rooms and classrooms. Each room has an autonomous audio system with wireless and playback sources connected via a portable rack. This rack also houses a switcher for the DVD/computer interfaces that feed the 6000 lumen projectors hidden in the ceiling via drop down plenum mounts. Finally we installed a high definition security camera system and central paging system. The entire audio system runs on networked backup power for continuous operation in the event of power failure.